One of the best things in today’s internet-driven era is that you don’t have to work a full-time job to make a living. You can simply follow your passion by creating a YouTube channel or setting up a blog. The process is fun & hassle-free and offers you multiple opportunities to grow professionally and personally. In case you’re serious about moving forward in this direction, go ahead and set up a blog in your favorite niche. While doing this, pay close heed to your blog’s design and functionality so that it can offer you desired outcomes starting from day one. Here are 20 best WordPress themes in the world that will help you in this create your first WordPress blog for free. 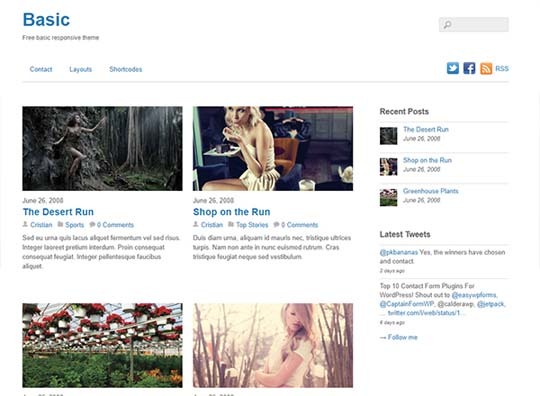 Despite having scores of features, these themes are available at free of cost. Take a look at them and select the one that you feels fulfills your requirements. Blogging goes far beyond publishing content and getting constant organic traffic to your website. You can use it to market your services to potential clients from all over the world. 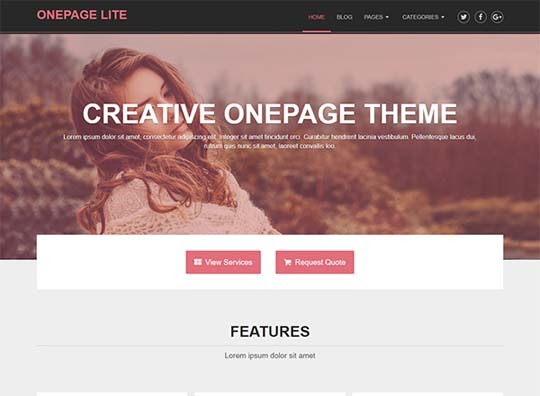 A theme like OnePage Lite can make this job incredibly easy for you. It’s packed with features like a perfect layout, lightweight design, colorful homepage, and powerful options panel. OnePage Lite loads fast on smartphones and desktops, ensuring users have a great time accessing your website. 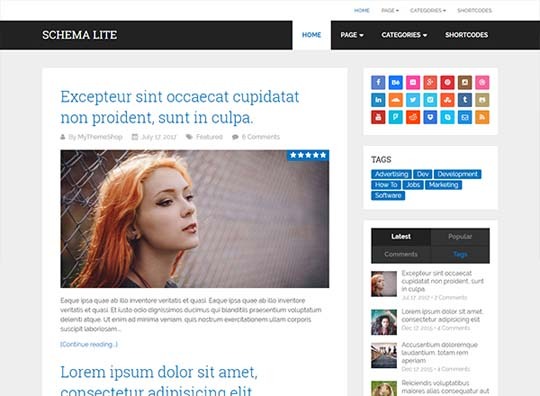 This is the lite version of the world-famous Schema theme, which is considered as one of the most useful WordPress themes for money sites and niche blogs. From impressive Google fonts to ideally placed social sharing buttons, flexible sidebars, and extremely lightweight design – this theme has got pretty much everything that you can hope for. Give it a try and take your first blog to greater heights. 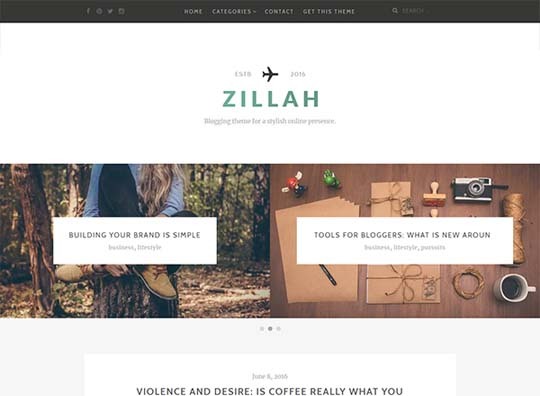 Zilliah is one of the best WordPress themes in terms of SEO score, search engine friendliness, backend editing, installation, customization, and mobile responsiveness. As a first-time blog owner that doesn’t want to face too many technical issues, take a shot at this theme without any further delay. It will transform your blog’s design and help you rank it on the first page of Google. 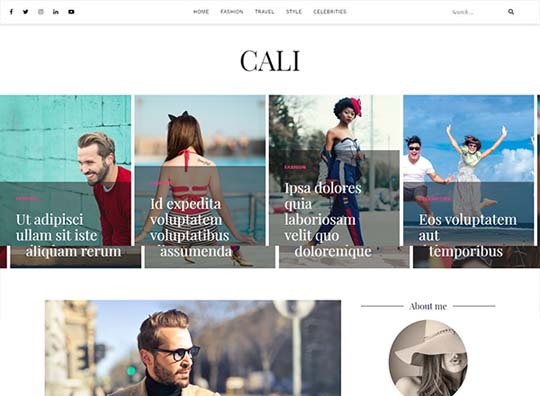 Cali is a flexible, powerful and gorgeous WordPress theme for your newly launched site. Regardless of whether you want to share the content related to fashion, lifestyle or travel, it has got enough features to ensure you never have to face any trouble while publishing posts or spreading the word about them on different social media platforms. Themify keeps on launching awesome WordPress products from time to time; the latest addition to this list is the Basic WordPress theme. It comes with a pleasant layout, easy to understand functionality, and a broad range of features to ensure you can make custom changes in your blog’s design as and when you want. 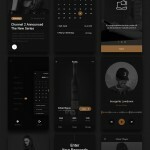 Basic comes packed with a responsive layout, lightbox gallery, optional search and RSS form, social media icons, footer menu, footer text, over five unique skins, child theme support, and much more. 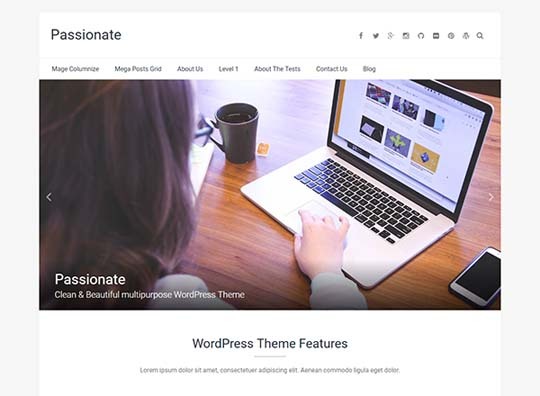 Passionate is a professionally designed free WordPress theme that can be used on sites built around individual portfolios, business, personal, niche blog or any agency business. It comes packed with responsive design, more than eight custom widgets, boxed and wide layout, social icons, flexible sidebars, and dozens of other stunning features. Give it a shot, and you’ll never need to switch to another alternative for your blog in the future. 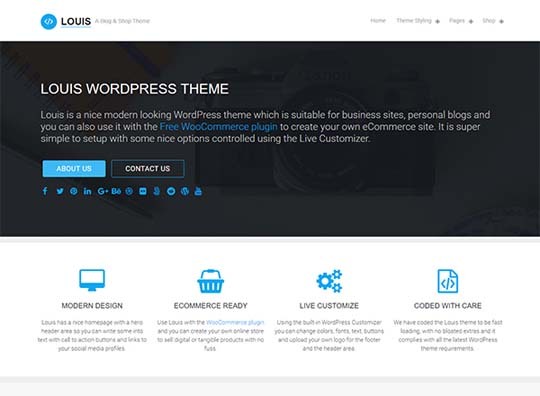 Louis is a perfectly designed WordPress theme with a modern layout and impressive look. 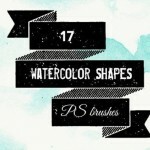 It’s ideal for personal blogs, business sites, and e-commerce websites. 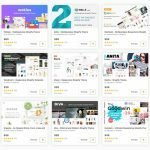 Even if you wish to take a step further and set up an e-commerce store to sell online, this theme will help you do it. All this at no extra cost, so you have literally no additional financial burden at the beginning of your blogging career. 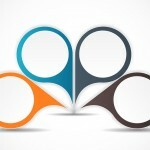 Musical theme from MyThemeShop is one of the best free themes for music and entertainment sites. Despite being available free of cost, Musical features a fluid responsive design, custom music section, search engine ready layout, Google AdSense optimized structure, and many other premium add-ons. 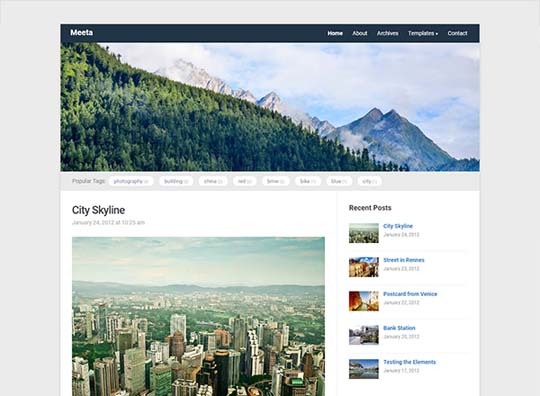 Meeta is a simple blogging theme bundled with a host of world-class features like custom templates, highly useful widgets, impressive design, WP Zoom framework, Google fonts, archives, beautiful icons, and a flexible sidebar. Its installation process is easier than most other themes available in the market. 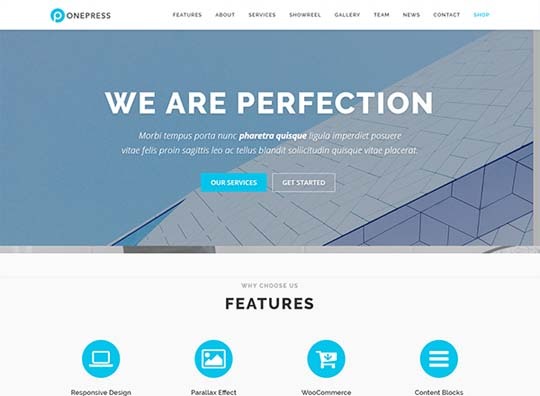 OnePress is a fantastic one page WordPress theme for portfolios, business websites, product showcases, digital agencies, freelancers, and others who appreciate good design. It features a responsive design, custom content blocks, parallax background effects, and dozens of other world-class features. 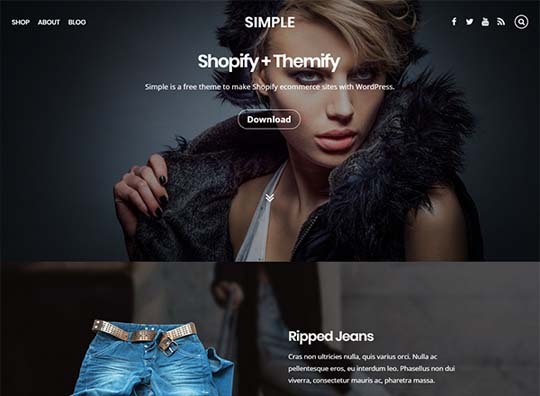 Simple is an elegantly designed theme for those tech entrepreneurs who wish to deliver a clutter-free browsing experience to their audience. It’s mainly used for e-commerce and Shopify stores and has the potential to skyrocket your sales numbers in no time. It’s easy to install and comes with built-in support for WooCommerce. 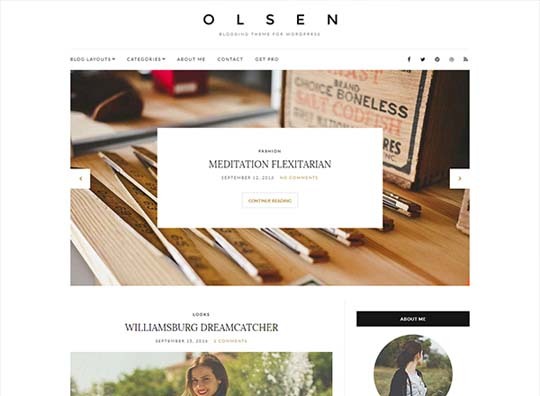 Olsen Light is a perfect free lifestyle/fashion blogging theme for those young content creators who keep on experimenting with their blogs posts on a regular basis. It features a long list of custom widgets, flexible customizer options, social sharing buttons, high search engine score, and a mobile responsive layout. Are you a person who loves exploring different places or a fitness enthusiast who is entirely into the healthy lifestyle and wishes to leave no stone unturned to spread words about it? If the answer is yes, then don’t waste any time before setting up an eye-catching blog around health & wellness using the Wellness WordPress theme. It’s lightweight, mobile responsive, and has a score of customization options to help you with the site layout formatting. 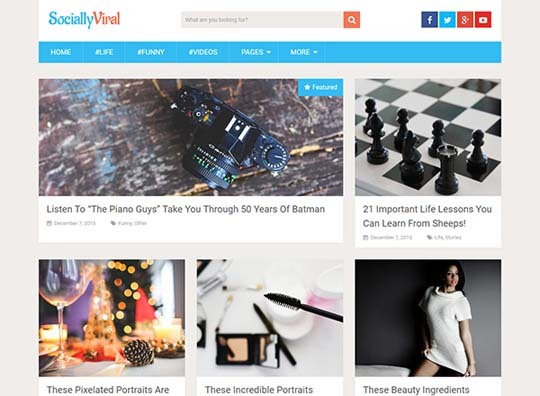 There is no better free theme available in the market for viral niche blogs than SociallyViral Free. 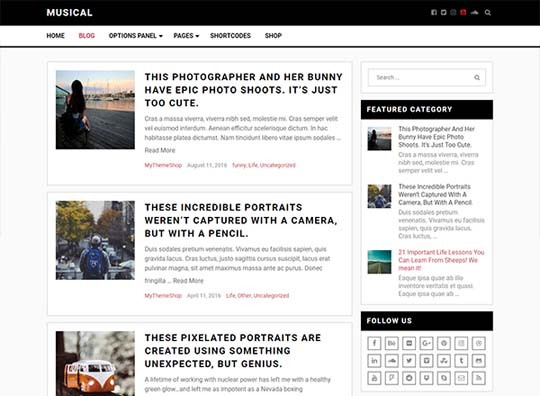 It’s the light version of one of the most downloaded and popular WordPress themes in the world â€” SociallyViral. Go for it and turn your blog into a super creative digital publication that gets a lot of social shares, comments, and likes on a regular basis. 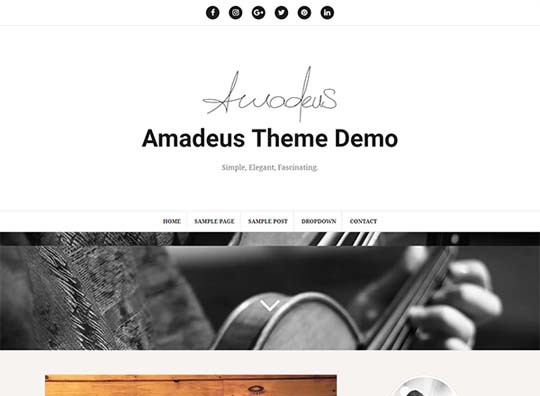 Amadeus is a free responsive blog theme with clean HTML code, cross-browser compatibility, powerful theme options panel, localization features to get your site first page rankings in terms of local SEO, and responsive design to function well on different devices. Are you planning to start a tech or Amazon review site where you can publish lengthy reviews and how to posts? If yes, then keep your initial investment low by opting for this highly responsive and lightweight theme. 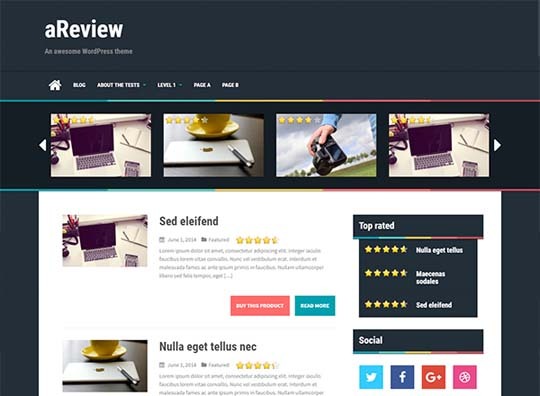 aReview comes packed with a fantastic homepage layout, flexible sidebars, unique social sharing buttons, and an impressive rating & review system. Use it to improve your site’s SERP position and experience high sales numbers without much hard work. Lifestyle and fashion blogging has changed a lot from what it used to be five years ago. Today you cannot just talk about the latest trends and relevant products to achieve high rankings. You’ll need to design your blog in such a way that it synchronizes well with your content. 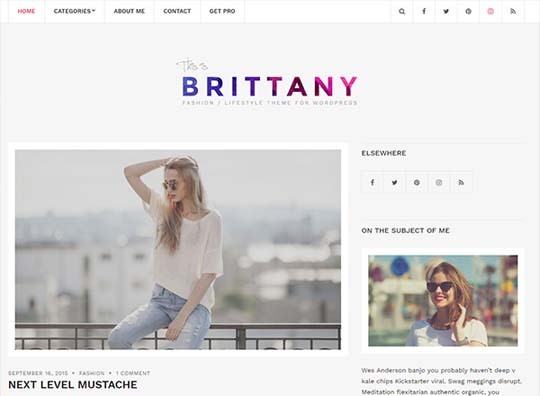 This is where a free theme like Brittany Light can help you big time. It’s easy to install, features a host of functions for better rankings, and delivers a smooth reading experience to your audience. Do you run an educational setup, coaching institute or a tuition center that needs a broader reach in the online market or have a client who is into the education field? 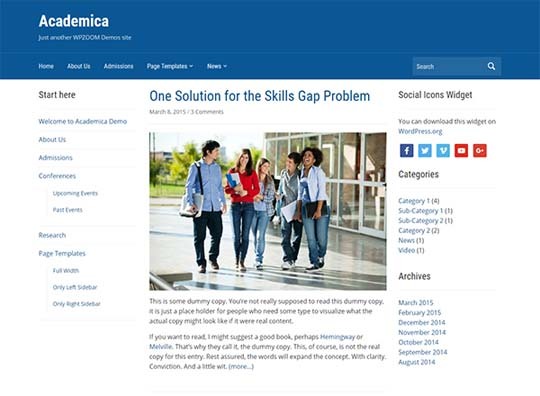 If yes, then use the Academica blogging theme to design a superb website that looks great and can fetch you loads of convertible leads on a regular basis. It’s responsive and retina ready, supports visual customizer, has multiple page & post templates, sliding mobile menu, and custom header for a perfect CTA. 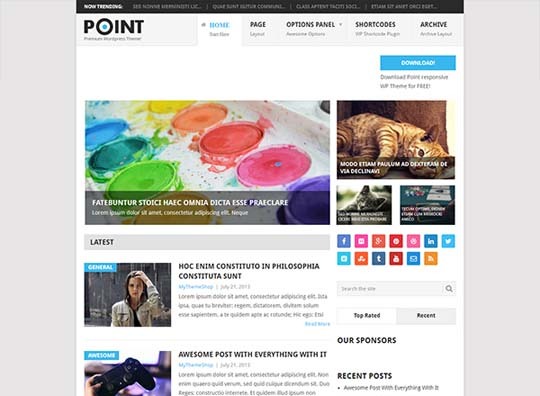 Over the years, Point has established itself into one of the most trustworthy and efficient WordPress themes for tech, entertainment, sports, healthcare, and any other long-term project. From a perfect homepage layout to strategically placed social media buttons, custom sidebars, powerful options panel, and mobile responsive design, this theme has got everything to make your site rank on Google, and increase its ad revenue by a significant margin. A brilliant WordPress theme with a unique design, lightweight structure, and highly responsive ad management system. 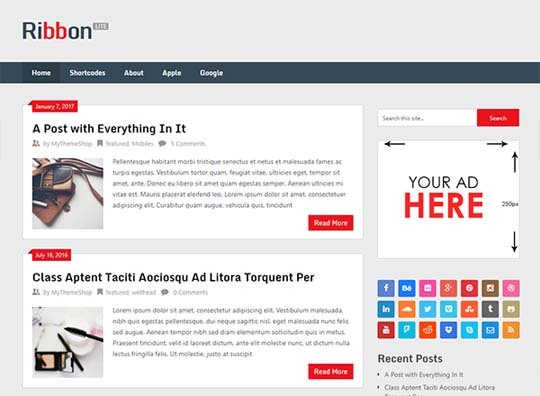 Ribbon has been designed with the sole objective to deliver a fantastic browsing experience to your site visitors. It’s easy to install, has a host of search engine friendly features, a mobile-friendly layout, and the best of all â€” quick load time. Regardless of whether you use it on the desktop or smartphone, the performance will remain top-notch always. Have a go at it and revamp your blog’s performance in no time. These are some of the best free WordPress themes with excellent features and a proven track record. You can opt for any of them and start off your journey as a blogger in a hassle-free manner.